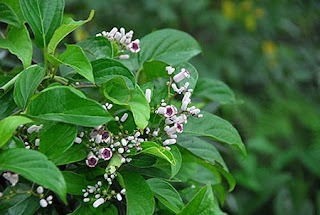 Kings Tonic (paederia scandens (Lour.) Merr.). 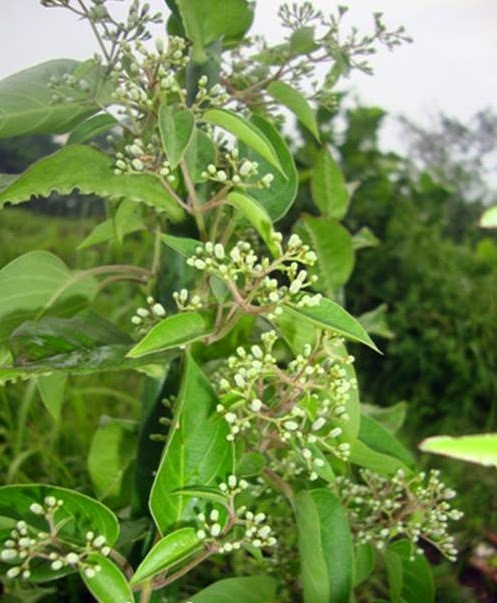 Annual herbaceous, climb up stems, woody base, the length of 3-5 m. It grows wild is open field, shrubs or riverbank, sometimes propagates on the fence yard, as a medicinal plant and can be found on the 1-2100 m above sea level. Single leaf, sessile, 1-5 cm long, lies opposite. round shape to oval or lancet. Heart-shaped leaf base, pointed tip, flat edge, 3-12 cm long, 2-7 cm wide, upper surface hairy or bald, leaves bone fin-shaped, when crushed smell fart. The flowers are arranged in panicles compound, out of the axillary or branching ends. 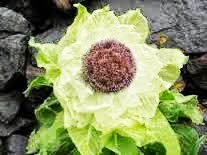 Crown flower-white, the inside of the tube-colored dark purple. Round fruit, yellow color, shiny, 4-6 mm long, and can be consume as a salad or vegetable. Propagation by stem cuttings or seeds. Eczema, skin itching (pruritus), Neuro dermatitis, Herpes zooster, feels hot and swollen eyes, stomach pain, inflammation of the middle ear. The whole herb roots. After being collected, washed and dried. Store in a dry place (for be used at any time). 1. eczema, skin itching (pruritus), Neuro dermatitis. Stems and fresh leaves sufficiently, washed and finely ground. Stick it on the affected part. Leaves washed and pounded until it becomes mush. Add a little water and salt (to taste). Apply skin around small bubbles. 3. The eyes feel hot and swollen. Leaf sufficiently washed. Boiled with water, After the boil remove from heat. Sit the patient at the top of the steam. When water is warm, wrapped the leaves with a piece of cloth. Place it on the affected eye until the leaves cool. Change the compress again. 25 sheets of leaves, processed into vegetable or steamed. eat as a cooked-fresh vegetables. for external use: withered leaves over the fire and attached to the abdomen. 5. Inflammation of the middle ear. 1/2 handheld leaves washed, and then finely ground. Squeeze with 1 tablespoon of salt water, wring it out, and filtered. Apply a drop of water on the affected ear (4 times daily, 3 drops each). - This Potions already made as injectable drugs. injected with this drug causing localized pain. 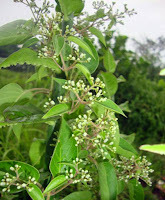 - Drink this herb can cause a sense of the typical smell on the breath and urine. Sweetness, then tasted slightly bitter, neutral. Anti rheumatism, pain relievers (analgesics), laxative fart (carminative), laxative urine, sputum (mucolytic), appetite enhancer (stomakik), antibiotics, anti-inflammatory, cough (antitussif), eliminate toxins (detoxification), worm medicine, reliever seizures. Stems and leaves contain: asperuloside, deacetyla-speruloside, scanoside, paederosid, paederosidic acid and gamma-sitosterol, arbutin, oleanolic acid and oils evaporate.